The Craftsmen's Guild of Mississippi has announced the hiring of a new Executive Director, Nancy White Perkins. Effective, July 2nd, a position transition will begin. 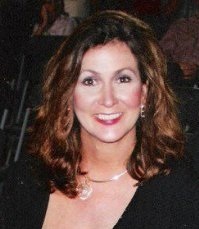 Nancy White Perkins worked at Mississippi Public Broadcasting and has experience in fundraising, marketing and public relations. She is an award winning writer and managed events. She is highly creative with a strategic mindset. Her B.F.A. is in Public Administration, University of Mississippi, with graduate work in Radio/TV/Film. Julia Daily, present Executive Director, will work part-time as a Project Manager to conclude pending projects, including opening the Biloxi Satellite, publishing the 40 at 40 book to be distributed by University Press, seeing the paving of the parking lot and pedestrian trail to the Trace to completion, fundraising for the woodturning studio and maintainence issues completed at the Craft Center. These projects should be completed by the end of the year and she will serve as mentor to the new Executive Director. The Search Committee of the Guild received more than 40 resumes from as far as California and New York. Six interviews were granted, including two by Skype. Three candidates were invited to a "Meet and Greet" with staff members, some local board members and the Executive Committee. Candidates were rated and a strong leader emerged. Join the Guild in welcoming its new leader, Nancy White Perkins. For more information, call The Craftsmen's Guild of Mississippi at 601-856-7546.